I felt a great disturbance in the Force, as if millions of Disney Executives suddenly cried out in terror and were suddenly silenced. I fear something terrible has happened. As the United States Memorial Day long weekend closes the big film release of the weekend bombed and bombed hard, I am of course referring to Solo: A Star Wars Story. When talking about a three day box office haul of $84 million you don’t think “bomb”, however when put into context that word does seem accurate. As Solo released well below expectations which ranged from $100 million to $150 million, the film only beat Deadpool 2 by $40 million which itself had a pretty steep decline from its opening gross. This does not discuss plot points of Solo: A Star Wars Story PLEASE NO SPOILERS in the comments. They will be deleted. The question now shifts towards what happened and what it could mean for the franchise going forward? The first is that I hope and believe Solo will readjust expectations for these films. After three straight billion dollar releases the expectations for anything with the Star Wars name was getting a bit ridiculous. While I expect future “Episodes” to continue to garner huge box office numbers, future “Stories” are more likely to post returns closer to Solo then Rogue One in terms of box office hauls. Making them conventionally successful films rather then perpetually setting box office records whenever they release as modern Star Wars films have. Some explanations for Solo’s poor box office performance has focused on what I will collective call The Last Jedi Effect. Being that TLJ released half a year ago and was polarizing to many of its audience. As such Solo was being pulled down by its wake. Which seems fishy as The Last Jedi has dominated the disk sale market, even with the transition to digital, and Star Wars fans - the ones most likely to care about The Last Jedi’s heresies - by most outlets seem to have enjoyed Solo. There is also one other simple reason to question this narrative and it is Star Wars Disney half-brother the Marvel Cinematic Universe. Which in the past year has seen FIVE releases: three grossing around $850 million, one (Black Panther) grossing $1.3 billion, and Infinity War working its way to being the first summer film to break $2 billion. For a total box office gross close to $6 billion dollars. So clearly audiences are willing to go see franchise films. Moving away from the business to the creative side of things, I do hope Solo will serve as a cautionary tale for the franchise going forward. One of the big advantages of the Star Wars Stories is their openness, the ability to tell a new kind of Star Wars story that the Episodes so tied to the Skywalker legacy cannot. In this sense you can see it much in the same way Disney allows Marvel Studios to have fun with their various franchises and present them without many constraints based on genre. As the best films of that franchise are the least conventional such as Guardians of the Galaxy being close to a screw ball comedy, Thor Ragnarok a road trip film, and Captain America: The Winter Soldier which is a classic 1970's spy thriller. As such when it was announced Solo would be the second Star Wars Story it was a massive letdown. In a franchise where the scope is as large as a galaxy, returning to the familiarity of Han Solo just seemed too timid, too safe. Following the status quo abolishing The Last Jedi which in many ways tried to re-imagine what a Star Wars film could be Solo really did stand apart and not in a good way. 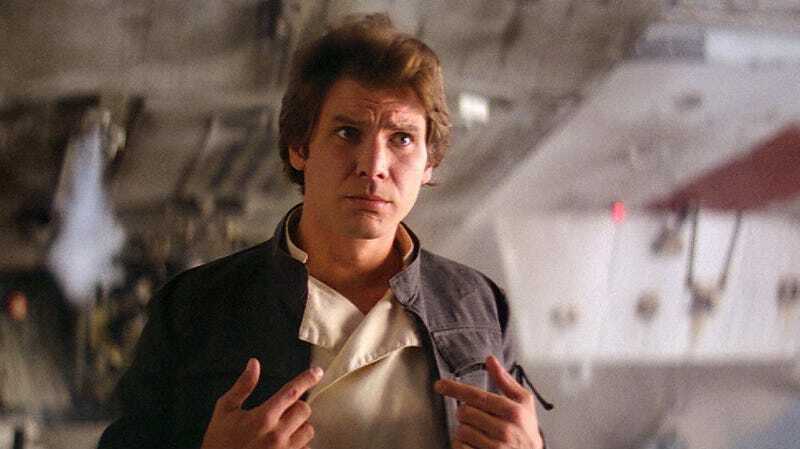 As such even before Solo premiered the question of “do we need this” was baked into the production and after this weekend the audiences resounding answer seems to be no. Add on top of the conceptual problems the film had going for it, behind the scenes things were not better. Questions about its leads acting abilities, the extensive reshoots, and hiring Ron “Safe Choice” Howard as replacement Director taking the reins from Phil Lord and Christopher Miller. Which potentially shifted the tone of the film away from Lord and Miller’s silly side of things to the more conventional action adventure film we got. What all this comes back to is right from the start Solo was seen by both the studios and public as a safe film. Even picking a Memorial Day Weekend launch which is one of the most family friendly weekends of the year spoke to that. Solo was safe, it was not exiting and in a year of exciting movies such as Avengers: Infinity War and Black Panther that took risks Solo just felt like any other film. If Lucasfilm producers learn anything from the trouble Solo is experiencing I hope it is that risk is an important part of film making. Especially as a franchise like Star Wars is perfect to take some risks with. As the universe is vast and as a beloved franchise even a mediocre, unoriginal film, plagued by production issues can still take in over $150 million worldwide opening weekend. One just needs to look to the film it was directly up against in Deadpool 2, which is a franchise that has its genesis in risk; a risky gamble that has paid off with a $1.3 billion dollars (and counting) return. Hell, even Rogue One was a risky choice and it paid off handsomely.